Photo by Ethan Miller/Getty ImagesConor McGregor. Conor McGregor has revealed the tactics he will use against UFC lightweight champion Khabib Nurmagomedov at UFC 229 on Saturday. McGregor later called Nurmagomedov a “smelly Dagestani rat,” threw the microphone to the floor, fist-pumped the air, and stormed off the stage. 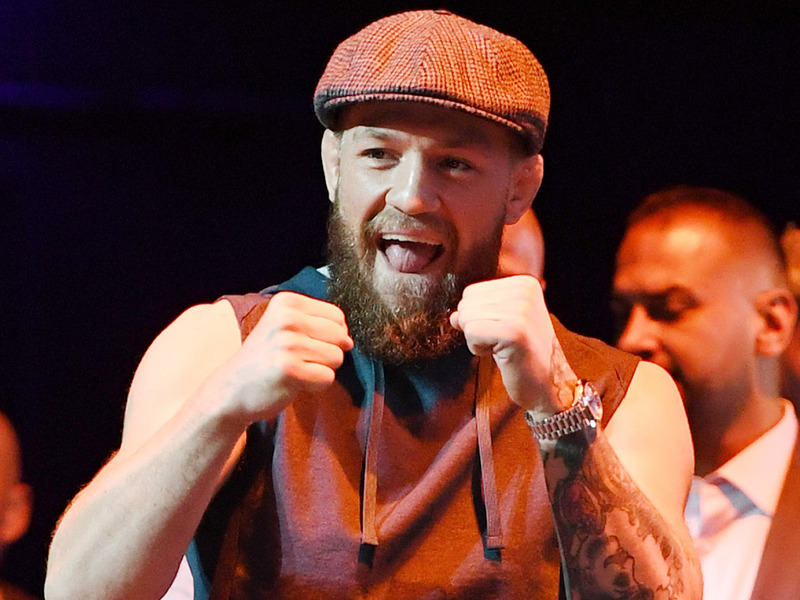 Conor McGregor has delivered a passionate speech where he predicted a “devastating KO” victory over the “smelly Dagestani rat” Khabib Nurmagomedov. McGregor and the UFC lightweight world champion Nurmagomedov come to blows at UFC 229 on Saturday, October 6 at the T-Mobile Arena in Las Vegas. The bout involves a controversial backstory that gripped the sports world in April, when McGregor was seen on video throwing guard rails at a bus carrying UFC fighters– an extraordinary attack that hospitalised two athletes. McGregor and Nurmagomedov did not fight that night, but the incident left McGregor charged with three counts of assault and one count of criminal mischief. He was later charged with menacing and reckless endangerment, according to the BBC. Speaking at an open workout session on Wednesday, McGregor seemed as amped-up as ever. The fight against Nurmagomedov is a mix of styles as it pits the knockout striker in McGregor against the strong wrestler in Nurmagomedov, but the Irishman made it clear he will be looking to make his style the dominant one come fight night. “Let’s do it. A proper fight. A proper, proper fight. I’m going to come out there fast. I don’t give a f— about anything – any wrestling, any technique – anything,” he said. McGregor then threw the microphone on the floor, fist-pumped the air, and stormed off the stage.